BOSTON – (Staff Report from Fenway Park) – Boston’s David Price and Cleveland’s Adam Plutko were four and a half innings into an old-fashioned pitcher’s duel when the Red Sox came to bat in the fifth. Price was in the midst of his most dominant outing of the season, while Plutko looked impressive as he held the high octane Red Sox lineup to only two hits. No runner from either team had advanced to 3rd base. That all changed in the home half of the 5th as the Red Sox, who batted around in the 4th inning and scored five runs in the process last night, batted around once again, scoring six runs on five hits to break the game wide open. A two-run double by Blake Swihart, a double by Xander Bogaerts and opposite field double by Eduardo Nunez did the major damage against the Tribe. After they’d dropped the first two games and endured a three-game losing streak for only the second time this season, Boston cruised through the last third of the game to even the four game series at 2-2 with an impressive 7-0 victory. Swihart entered the game as a pinch runner in the first inning when starting first baseman Mitch Moreland was replaced because of a left knee contusion after Moreland’s 1st inning base hit. Swihart went 2-for-4 on the afternoon with a run scored and two RBI. Boston scattered 12 hits on the day with four doubles. Price pitched eight innings of three-hit baseball to earn his 14th victory of the season. He threw 101 pitches with 68 for strikes as he struck out seven Indians and walked none. Price gave way to reliever Tyler Thornburg in the 9th inning. Price is (14-6) on the year. Cleveland’s Plutko took the loss, allowing five earned runs on five hits, five walks in 4.1 innings of work. Plutko is (4-4) on the year. GAME NOTES – After today’s game, Boston will head to Tampa for a three-game set against the Rays. Cleveland continues its road trip with three at Kansas City. … After this series, the AL East and Central leaders will not meet again until a three-game series at Cleveland (September 21-23. … When the Sox play at Tampa, Boston will throw RHP Hector Velazquez (7-1, 2.74 ERA) vs (Tampa pitcher TBA); On Saturday, RHP Rick Porcello (15-6, 4.14 ERA) will throw (Tampa SP also TBA) and Sunday, Boston’s RHP Nathan Eovaldi (5-5, 3.81 ERA) will face his old teammates with LHP ace Blake Snell (15-5, 2.07 ERA) expected on the mound for the Rays. … Cleveland is 15-6 in August. … Earlier in the day, Cleveland activated right-handed pitcher Josh Tomlin (back spasms) from the disabled list, the team announced. In a corresponding move, the Indians placed right-hander Neil Ramirez on the 10-day disabled list. He is also suffering from back spasms. After successfully preventing a season-high fourth straight setback, the Boston Red Sox bid to avert their first series loss in over two months on Thursday afternoon when they play the finale of their four-game set against the visiting Cleveland Indians (73-53). Xander Bogaerts belted a pair of homers in Wednesday’s 10-4 romp as Boston (89-39) ended its second three-game skid of the season. Bogaerts improved to 5-for-14 with six RBIs in the series and 18-for-55 with 10 extra-base hits (six doubles, triple, three homers) and 15 RBIs in August. Andrew Benintendi had a three-run double to extend his hitting streak to seven games, during which he has scored five times. While the Red Sox own a comfortable nine-game advantage over second-place New York in the American League East, AL Central-leading Cleveland fell for just the second time in 11 outings. Edwin Encarnacion returned from the disabled list to belt a pair of two-run homers on Wednesday heading into a tilt versus David Price, against whom he has four homers among his 12 career hits. Price improved to 4-0 with a 1.80 ERA in his last six starts on Saturday after yielding two runs on five hits over seven innings of a 5-2 triumph against Tampa Bay. The 32-year-old looks to keep the good times rolling versus Cleveland, against which he owns a sparkling 10-2 mark with a 2.24 ERA in his career. Yan Gomes (1-for-18, eight strikeouts) has struggled mightily against Price in his career. 1. Boston 1B Mitch Moreland has driven in 18 runs in his last 17 games to reside one shy of 500 for his career. 2. Cleveland 3B Jose Ramirez is 18-for-45 with five doubles over his last 11 road contests. 3. Red Sox DH-OF J.D. Martinez has hit safely in his last 14 games versus the Indians. PARAMUS – (Staff and Wire Service Report) – Despite his calm demeanor, Dustin Johnson insists he still has a driving desire to add to his impressive list of golfing accomplishments. At the top of that list is to win his elusive first FedExCup title. Johnson is the defending champion at this week’s The Northern Trust, and he enters as the top-ranked player in the world and the leader in the FedExCup standings – albeit by only 83 points over Justin Thomas. Johnson’s four career playoff victories is tied for the most all-time, but he has never managed to take home the season-ending title – or the $10 million prize that comes with it. He entered the Tour Championship ranked third last year, but fell to fourth with his tie for 17th at East Lake. Johnson has three victories this season – his third consecutive season with at least three wins. He also leads the Tour in numerous categories. But he failed to claim a major title in 2018, which puts extra emphasis on closing his season on a strong note. While a handful of top players, including Rory McIlroy, Rickie Fowler (injury) and Henrik Stenson chose to skip The Northern Trust during the busy closing stretch of the calendar, Johnson said he never considered taking another week off. He was off last week and has played in only 16 Tour events this season, so he needs to accumulate more starts and strong results. He would also like to win Player of the Year honors. While everyone acknowledges that Brooks Koepka is the clear leader at this point with his two majors in 2018, Johnson disagreed with Tiger Woods’ assessment on Tuesday that the award is all but tucked away in Koepka’s trophy case. “I’m proud of the way I’ve played this year, for the most part,” said Johnson, who is coming off a tie for 27th at the PGA Championship two weeks ago. “I’ve had three wins, which is a really good season. Sports Biz: Ready for The Contender? NEW YORK – (Staff Report) – We all should’ve been The Contender but Friday night, we’re getting a chance. Boxing’s comeback to the mainstream of reality cable TV continues this week with a show that started the genre for sports. Former champion Andre “Son of God” Ward — who retired last year with an undefeated record — is set to host The Contender, Mark Burnett’s revived reality series that will bow on Epix Friday night at 9pm (ET). Legendary trainers Freddie Roach and Naazim Richardson will serve as trainers on the series, which launched multiple boxers into contention for world titles during its original 2005-09 run. 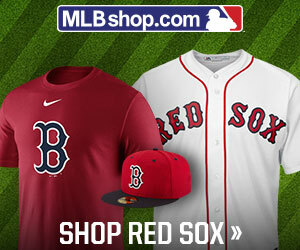 BOSTON – (Staff Report from Fenway Park) – The Red Sox three-game losing streak is over. Ten-FOUR! Over! The Boston Red Sox snapped a three-game losing streak with one of their typical, strong offensive performances to defeat the Cleveland Indians, 10-4. Boston broke the game open when they batted around in the 4th inning and scored five runs on six hits off Cleveland starter Carlos Carrasco. The rally was highlighted by a bases-loaded, bases-clearing double by centerfielder Andrew Benintendi. Boston shortstop Xander Bogaerts hit two home runs on the night as the Red Sox, now 89-39, extended their Major League lead in win percentage and run differential. The Red Sox have not lost four-straight games all year long. Bogaerts started the Red Sox game-winning rally in the 4th when he tied the game with his 18th homer of the season, a 423-foot blast into the Monster seats in deep left field. Two at bats later, Bogaerts crushed a 2-1 pitch into the Red Sox bullpen in right field for his 19th home run, marking the shortstop’s second career multi-homer game and recording his single-season, career-high 59th extra base hit. After the high-scoring fourth inning, the Red Sox added insurance runs in the 6th inning when Jackie Bradley Jr. led-off with a double, his 24th of the year. Bradley was on board for first baseman Mitch Moreland‘s 15th home run of 2018 which made the score, 8-4. Moreland now stands at 499 career RBI. Cleveland’s Edwin Encarnacion, activated today from the 10-day disabled list after suffering a right hand contusion August 11th, opened up the scoring when he hit his 26th home run of the season, a 2-0 fastball, that landed in the centerfield Monster seats and scored Francisco Lindor who lead-off the game with a double. Encarnacion also homered in the 5th inning, a two-run blast off reliever Heath Hembree and thus recorded his 82-85th RBI of 2018 tonight, good enough for fourth in the American League. Always tough because of his power as a long ball threat, Encarnacion entered the game as a career .287 hitter at Fenway with 17 HRs (now 19) and 47 RBI (now 51) in a mere 54 career games at the ballpark. Boston cut Cleveland’s 2-0 lead in half in the bottom of the 1st when J.D. Martinez singled in Benintendi who had reached on an error but advanced to third on a ground out and a wild pitch by Carrasco. Martinez also singled-in Bradley in the 8th inning to record his MLB-best 108th RBI of the year. Lefty Brian Johnson started for the Red Sox, again filling the rotation slot vacated by the injured Chris Sale (left shoulder inflammation). Sale remains on the disabled list, retroactive to August 15th. Johnson tossed 4.1 innings and allowed five hits and three earned runs. He struck-out three and walked one while throwing 82 pitches on the night. Johnson gave way to long reliever Heath Hembree who worked only two-thirds an inning and allowed the second of Encarnacion’s two homers. Matt Barnes was credited with the victory in relief. He is (5-3) on the season. Carrasco took the loss for Cleveland and is (15-7). He pitched 3.2 innings, allowing eight hits, six runs (five earned) while striking out six. Cleveland remains atop the American League’s Central and is (73-53). The Indians have one more game at Fenway, a 1:05pm afternoon start on Thursday when RHP Adam Plutko (4-3, 4.62 ERA) goes against Boston’s LHP David Price (13-6, 3.69 ERA). The Red Sox will visit Cleveland for three important games September 21-23. GAME NOTES: Cleveland slugger Edward Encarnacion has hit 30 home runs in each of his last seven MLB seasons. Tonight he hit his 26th and 27th to make it an MLB high 258 dingers hit since 2012. Nelson Cruz of Seattle has 247. … Cleveland Indians outfielder Leonys Martin will miss the remainder of the season as he continues his recovery from a life-threatening bacterial infection, the team announced Wednesday. Indians president Chris Antonetti said Sunday that Martin was set to be released from the hospital that evening after battling the infection, which entered his bloodstream and ravaged internal organs. He had been transferred out of intensive care on Thursday. “Leonys Martin visited the Cleveland Clinic this morning for a scheduled recheck,” the Indians said Wednesday in a statement, via Twitter. “While his prognosis remains positive for a full recovery, he will not be permitted to train at intensity levels to enable a return this season.” Indians manager Terry Francona told reporters Martin continues to make significant progress in his recovery.